I love hearts all year long (why confine them to February!?). 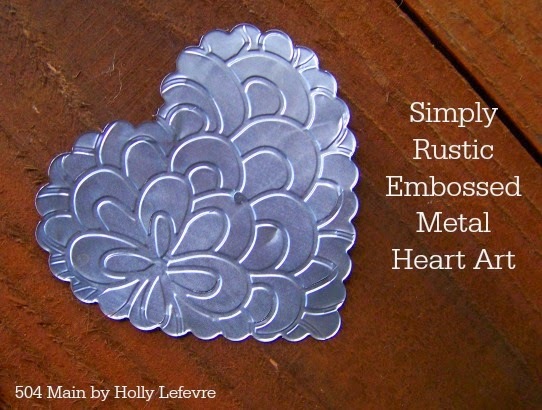 I also love experimenting with my Evolution Die Cutter and combining it with cuttable metal sheets and embossing folders was a fun way to add a twist to a simple, rustic pallet. I adore the contrast of the shiny metal against the rough dark stained wood, and that touch of embossing makes it even extra special! I made this fun pallet art piece to display at my favorite coffee shop! It totally rocked that coffee shops mantel! Now I have to make one for myself...and here is how you can too. Pallet: My pallet is about 3 feet tall x 2 feet wide with 2 braces on the back. 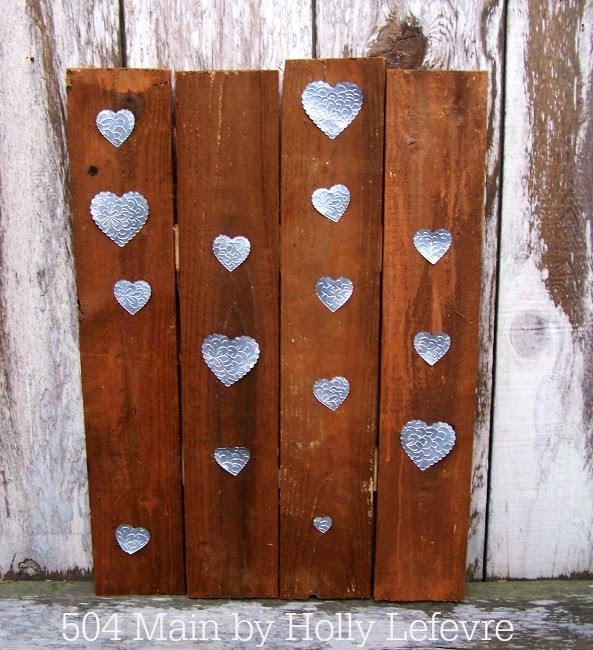 I make my own pallets and I will share that with you in a few days...BUT these hearts can adorn just about anything! NOTE: I cut out my shapes first ...because if you emboss the metal first, when you run it through the die cutter again to cut, you lose a little of the embossing (it flattens out a bit). 4. Next place the hearts in the embossing folder; place the folder on the platform and the mat (B) on top, and run it through the Evolution again. Repeat as necessary. 6. Paint if you would like; let dry; (optional) give a light sanding to distress. 7. Stain/Paint the pallet using your choice of colors. I used DIY Apple Cider Vinegar Stain. Let dry. 8. Now all you have left to do it strategically place your hearts - well, there really is not strategy - just place they how you like - line 'em up, stagger them...just make it pretty! 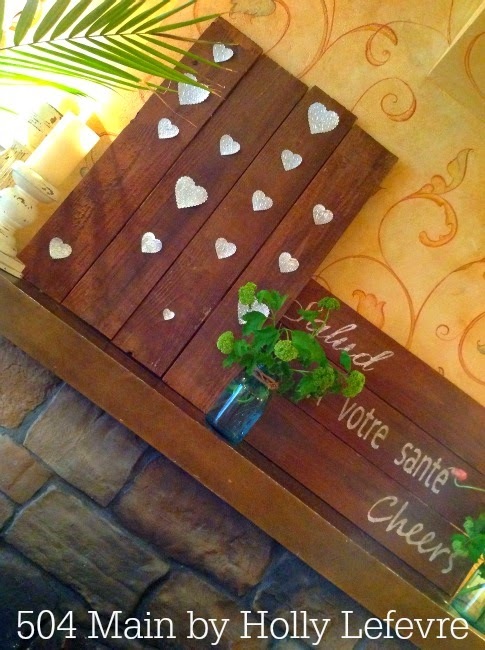 Attach each heart to the wood with a small finishing nail - I just hammered mine right in the middle - and you are done! In the next couple of days, I will share my tutorial for making your own pallet - I did this along time ago too...but I have learned a thing or two since! 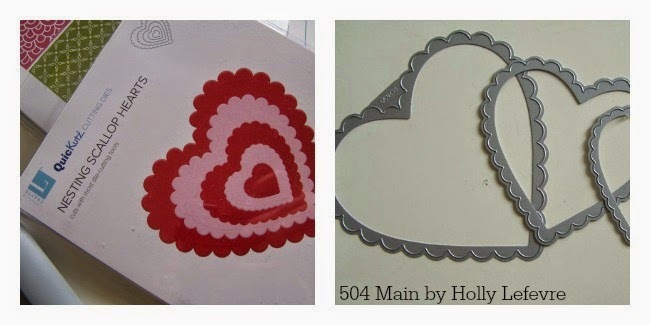 This post is written and created at 504 Main by Holly Lefevre I am a member of the Lifestyle Crafts Studio Team. Some compensation may have been provided. 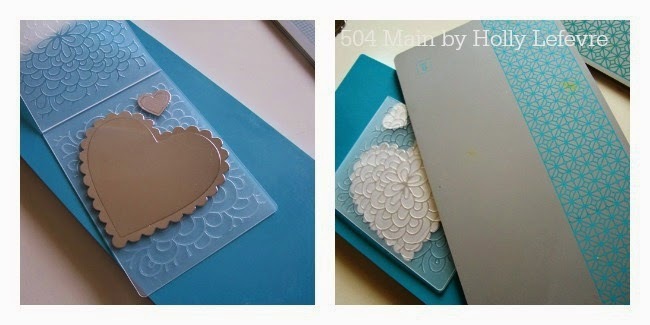 All projects are original and I love these supplies! hats off to your artwork. What a great art piece, Holly! Those die cutters look like a really nice thing to have. Maybe, some day----. I hope you and your family are all doing well!